Inyati Private Game Reserve is situated in the world acclaimed Sabi Sands Game Reserve, adjoining the Kruger National Park. Experience the enchantment of the African Bushveld in the comfort of an immaculately furnished chalet with glorious river views. Inyati (meaning buffalo in Shangaan- the language of the local people), is home to this powerful breed along with the rest of the Big Five. Inyati offers the discerning guest luxury and friendly service combined with the ultimate game viewing experience, striking the perfect balance in providing an unequalled and unforgettable African bush experience. Quality fabrics and rich earthy tones combine with African decor to create an ambience of spacious luxury. Each of the eleven en-suite chalets is air conditioned and has mosquito nets and telephones. From the moment you first arrive in your room you realize that everything possible has been done to make your stay as special and as spectacular as possible. From the moment you first arrive in your room you realize that everything possible has been done to make your stay as special and as spectacular as possible. Our Executive chalets offer a superior level of luxury and privacy. Each Executive chalet boasts a King Size bed, indoor and outdoor shower as well as a large sunken bath, front and back private patio with lounger chairs as well as a sitting area. Experience a traditional South African braai (barbeque) under a blanket of stars in the heart of the bushveld. The crackling fire, friendly conversation and delicious food add to the excitement of hearing a lions roar in the distance. A traditional African setting where unique delicacies are prepared on an open fire. Enjoy the friendly company of your ranger whilst being entertained with bushveld stories and experiences. Meals can be enjoyed on the open patio area overlooking the Sabi River. A combination of traditional South African and International dishes are always on the menu. Inyati has a walk in wine cellar that is stocked with over 2000 bottles of selected wines and champagnes. A variety of some of South Africa’s top wines are available. Select your favourite wine to be enjoyed with your meal. Inyati’s fully licensed ladies bar and lounge, The Warthog Wallow, provides the perfect setting for guests to meet for refreshing drinks in a relaxed environment. Enjoy drinks and snacks while the days exciting happenings are recounted. The crystal clear swimming pool is an ideal venue for enjoying sundowners. After spending a morning under the warm African sun a refreshing swim is always welcome. Our river deck is situated on the waters edge overlooking the beautiful Sand River. Enjoy a leisurely morning relaxing on the deck surrounded by the sights and sounds of the bushveld. A hippo taking a stroll along the riverbank, or a herd of elephant in the lush vegetation may be sighted. Tree swings situated in tranquil areas are ideal for relaxing with a book. Inyati has telescopes for guests to gaze up at the nights skies . We also offer spellbinding talks on the moon, various planets and constellations that are so clearly visible in our crisp, clean night air. Inyati offers fishing as an extra activity between game drive times. All fishing equipment is supplied by the Lodge. Fishing is done in the Sand River and at the causeway. 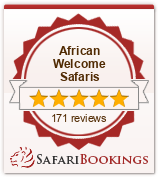 Guests safety is paramount and they are always accompanied by a highly skilled ranger or tracker. Game drives are conducted in specially customized open land rovers, providing guests with quiet, state-of-the-art comfort and safety. An area of over 10 000 hectares is traversed in search of animals in their natural habitat. Game drives take place throughout the year at optimum viewing times when game activity is generally at its peak. The morning safari departs at sunrise and the evening drive leaves late enough for guests to enjoy a bush sunset with sundowners. A must for all nature enthusiasts is the bush walk. This affords guests the ultimate, close to the wild experience and a chance to focus on the smaller bush inhabitants including birds, insects and butterflies. One can discover the interesting world of trees, grasses, flowers, geology and ecology. Occasionally game can be seen on walks – including the “Big 5”. Bush walks take place either before or just after breakfast, depending on the time of the year and the prevailing weather conditions.